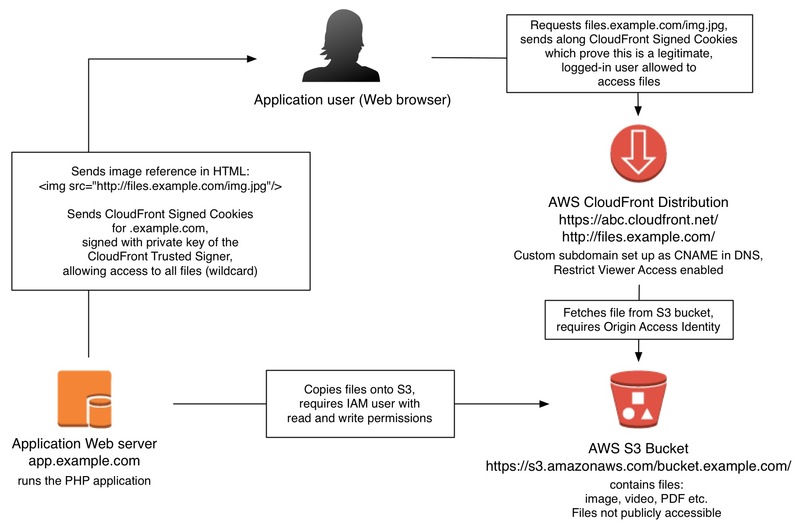 With the help of the CloudFront documentation on Signed Cookies, Frederick Cheung’s Using Cloudfront Signed Cookies and Markus Ebenhoeh’s Serving Private Content Through CloudFront Using Signed Cookies, I managed to make it work. Unlike that last article, I’m using the official AWS SDK for PHP, and I had no problem using PHP’s setcookie() function. // (a CNAME we set up in our DNS).